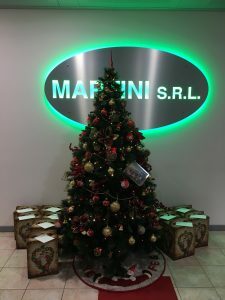 CHRISTMAS CLOSURE - Martini S.r.l. The Company will be closed for the Christmas Holidays from 21st December 2018 to 4th January 2019 included. The reopening is scheduled for Monday 7th January with regular opening hours.